The Castillo de Canena’s olive groves are nestled in the Valley of the Upper Guadalquivir, between the Cazorla and Mágina Mountains, in the northeast of the Jaén Province. Over nine generations of farmers have sought perfect harmony between the olive groves and the wild hills, grazing lands, wetlands and riverbanks of the Lesser Guadiana. Sustainability forms an intrinsic part of this family legacy, and has led the farm to put in place strategic measures to encourage biodiversity, make use of renewable energy sources, promote R+D in the biological control of pests and blights, and optimize the use of natural resources, thus achieving a kind of agriculture that is both more competitive and more sustainable over time. As a point of departure, we should emphasize that we have been farmers for nine generations. We are swollen with pride at being harvesters. We live by the Earth and for the Earth, and our love of Nature is immense. 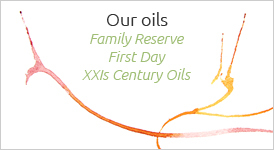 The quality of our EVOOs is a result—among other things—of our respect for the environment in which our agricultural labors take place and our efforts to adopt of measures to promote sustainable development, taking ‘sustainable’ to mean that we never draw upon the farm’s resources beyond their ability to regenerate themselves. More simply stated, we are trying make sure that the next generation inherits a natural ecosystem: land that is more fertile and environmental quality that is better than what we inherited from our parents. Our family’s olive groves are nestled in the Valley of the Upper Guadalquivir, between the Cazorla and Mágina Mountains, in the northeast of the Jaén Province. The lovely rolling hills are spectacularly rich in bio-diversity, and our olive groves live in perfect harmony with extensive wilderness areas and grazing lands, along with wetlands and the banks of the Lesser Guadiana River. 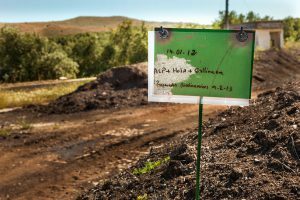 This property, called the Guadiana Cortijo or plantation, is where we collect the olives with which we make our top-shelf extra virgin olive oils from olives of the Picual, Arbequina and Royal (the Cazorla Mountain native) varieties. As we control the entire value chain, from the production to the sales of our EVOOs, we have been able to transmit this working philosophy—part of our Corporate Credo—to all our consumers and clients, making them participants in the intangible values of our company. As we mentioned already, sustainability is an intrinsic part of Castillo de Canena, part of its DNA as a company, as is a concern for how to help stop global warming. This attitude has led us to implement a number of strategic, ongoing, tangible and specific measures on our property to encourage biodiversity, promote the use of renewable energy sources, advance R+D on natural pest and blight control, and optimize natural resources. In this way we achieve a form of agriculture that is both more competitive and more sustainable over time. Enriching and encouraging plant and animal biodiversity is a source of natural wealth, allowing us to turn our property into a genuine cultivated forest, improving in turn the quality of our Premium EVOOs. 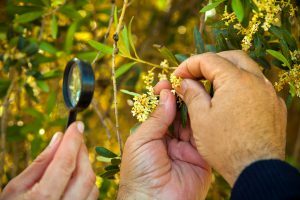 After years of conservation and soil-regeneration efforts, our olive groves are now home to a great diversity of living things. Several sections of our groves are certified as organic and biodynamic (Demeter Seal), and our lands are now a place where many populations of birds, mammals, amphibians, reptiles and insects live, interacting amongst themselves: through their predation, symbiosis and other mechanisms they enrich the food chain. We have taken care to maintain the most mature possible ground cover, introducing a small herd of horses and 600 sheep of the Segureña breed to ensure a correct processing of compost (necessary as the only form of fertilizer accepted within biodynamic agriculture) and to control the ground-cover in some parts of the property. 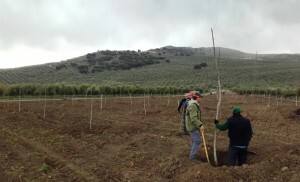 We have undertaken various reforestation initiatives (7.5 hectares of hill country with 18 species of native Iberian species of trees and bushes and 4 hectares with Quercus Illex implanted with black and white truffle spores) and have reintroduced a diversity of habitats (planting 400 walnut trees and over 1000 cypresses, 30 pre-phylloxera grapevines, and seeding barley between our ancient olive trees). 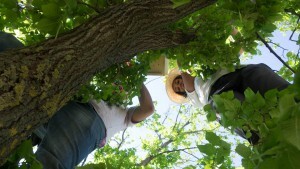 Likewise we have regenerated the natural wetlands, establishing a green lacewing (Chrysoperla carnea) farm for the biological control of olive tree pests, and setting up 37 Iberian honeybee hives to serve as bioindicators of a pesticide-free environment and collaborators in the pollinization of the groundcover. The other fundamental pillar of our regeneration policy is making ourselves independent of fossil fuels. The agricultural sector finds itself in the midst of a profound shift, marked by the need to ensure the economic viability of farming while slowing climate change. In Castillo de Canena we have been working for years to take advantage of the energy value of natural resources, and incorporate this into our farming. 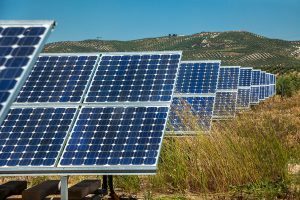 We presently have a photovoltaic station that generates 120kW of power, sufficient clean energy to pump water for our irrigation needs. All the material we generate from pruning the trees (over 1,500 Tm of plant material on an average year) is used as natural biomass in a clean electric power plant located in Linares. 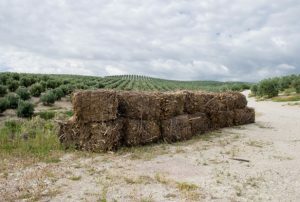 As we have mentioned before, with the byproducts generated in the process of milling our certified Biodynamic olives— such as the leaves and olive pulp— and the manure of our sheep, we produce a 100% natural and pH-neutral compost with which we fertilize our Biodynamic groves. In this way we have have reduced our (DNV-certified) carbon and water footprint each year since 2011 and have obtained the Environmental Product Declaration granted by the Swedish organization ENVIRONTEC. 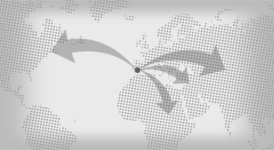 We also actively participate with both public and private initiatives in research and development projects in the field of sustainability. These include the Carbolivar Project “Carbon Balance in Olive Groves: the Effects of Green Ground Cover” in conjunction with the University of Granada and the University of Córdoba, the LIFE Project “Living Olive Groves” with the Association SEO/Birdlife, the project TerrAcqua and the Experimental Varieties Field Project in collaboration with the Institute for Research and Training in Agriculture and Fisheries (IFAPA) in Jaén and Córdoba. We aspire to be a model property, a genuine natural ecosystem that does much more than a mere farm. 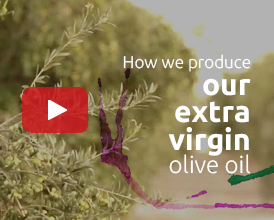 A clear and living example of how, through careful stewarding, a large olive plantation can be socially and economically beneficial at the same time as sustainable and respectful of the environment. Since 2003 Castillo de Canena has been able to harmonize its business activity (we export the entire range of Premium EVOOs—including organic and biodynamic oils—to 54 international markets), with sustained economic growth and job-creation while upholding corporate values of Sustainability, Respect for the Environment and Social Responsibility.